“One Belt One Road” is a major innovation strategy for China to cope with the challenges of international trade in new era. Trade facilitation is then the important route to improve the trade environment and realize the new economic growth. This paper constructs an index system to estimate the trade facilitation levels of the main countries along the “One Belt One Road” route. An extended gravity model is further employed to test the effect of trade facilitation on China’s export. The study shows that there is significant difference between the trade facilitation levels of the countries along the “One Belt One Road” route, but in general, most of them have certain “short plate” and could achieve more improvement. With the development of regional economic integration, the marginal utility of traditional tariffs on the international trade is diminishing, while the improvement of trade facilitation of the countries along the “One Belt One Road” route will significantly promote China’s export. Wilson, J.S., Mann, C.L. and Otsuki, T. (2003) Trade Facilitation and Economic Development: A New Approach to Measuring the Impact. World Bank Economic Review, 17, 367-389. Wilson, J.S., Mann, C.L. and Otsuki, T. (2005) Assessing the Benefits of Trade Facilitation: A Global Perspective. World Economy, 28, 841-871. Shepherd, B. and Wilson, J.S. (2008) Trade Facilitation in ASEAN Member Countries: Measuring Progress and Assessing Priorities. World Bank Policy Research Working Paper Series, No. 4615. Felipe, J. and Kumar, U. (2010) The Role of Trade Facilitation in Central Asia: A Gravity Model. Eastern European Economics, 50, 5-20. Moise, E. and Sorescu, S. (2013) Trade Facilitation Indicators: The Potential Impact of Trade Facilitation on Developing Countries’ Trade. OECD Trade Policy Papers, No.144. Rudjanakanoknad, J., Suksirivora boot, W. and Sukdanont, S. (2014) Evaluation of International Ports in Thailand through Trade Facilitation Indices from Freight for Forwarders. Procedia-Social and Behavioral Sciences, 111, 1073-1082. 曾铮, 周茜. 贸易便利化测评体系及对我国出口的影响[J]. 国际经贸探索, 2008(10): 4-9. 谢娟娟, 岳静. 贸易便利化对中国-东盟贸易影响的实证分析[J]. 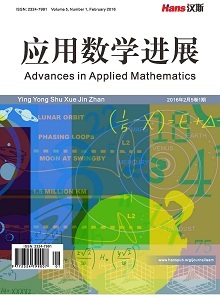 世界经济研究, 2011(8): 81-87. 孙林, 徐旭霏. 东盟贸易便利化对中国制造业产品出口影响的实证分析[J]. 国际贸易问题, 2011(8): 101-109. 方晓丽, 朱明侠. 中国及东盟各国贸易便利化程度测算及对出口影响的实证研究[J]. 国际贸易问题, 2013(9): 68-73. 王彦芳. “一带一路”背景下贸易便利化水平及影响因素——以中国与19个主要贸易伙伴国为例[J]. 新疆农垦经济, 2015(8): 50-56. 崔日明, 黄英琬. “一带一路”沿线国家贸易投资便利化评价指标体系研究[J]. 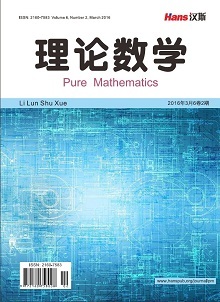 国际贸易问题, 2016(9): 153-164. 孔庆峰, 董虹蔚. “一带一路”国家的贸易便利化水平测算与贸易潜力研究[J]. 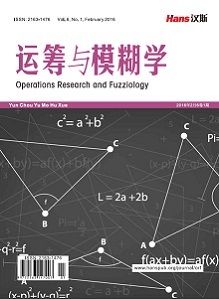 国际贸易问题, 2015(12): 158-168. 张亚斌, 刘俊, 李城霖. 丝绸之路经济带贸易便利化测度及中国贸易潜力[J]. 财经科学, 2016(5): 112-122. 谭晶荣, 潘华曦. 贸易便利化对中国农产品出口的影响研究——基于丝绸之路沿线国家的实证分析[J]. 国际贸易问题, 2016(5): 39-49. 付韶军. “一带一路”建设与中国出口效率提升——基于面板数据随机前沿引力模型的实证研究[J]. 工业技术经济, 2016(10): 63-71.